This is about the stillness in moving things, In running water, also in the sleep Of winter seeds, where time to come has tensed Itself, enciphering a script so fine Only the hourglass can magnify it, only The years unfold its sentence to the root. Time mystifies—it goads the imagination, and always has. The earliest records of human existence document that even our distant ancestors were aware of the passage of time. Ancient frescos on the walls of caves in France, dating from approximately 32,000 years ago, represent an act in the present depicting scenes from experiences in the past that scholars think were attempts to influence events in the future. It is reasonable to assume that the imagination that spawned these paintings was at work in the minds of early people long before their thoughts found expression on cave walls. Indeed, a recognition of time—past, present, and future— appeared very early in the human experience. These early humans also had a firm grasp of the temporal nature of life and they anticipated a life after death. Gravesites reveal human remains accompanied by artifacts designed to serve the deceased in the arena of the spirit. Early in a child's life, he or she discovers the facts of birth and death. As children mature, their conscious awareness of mortality becomes more pronounced. Perhaps it is the facts of birth and death that invest the human mind with a preoccupation with time. Time carries with it the reality of human mortality and in response to this grim inevitability, religions provide their followers a route to serenity beyond the grave. The typical human's aspiration is captured by the cartoon character who said, "Listen, I don't want to live forever, but I damn well don't want to be dead forever either." In addition to the metaphysical and religious implications that thinkers through the ages have brought to the concept of time, their awareness of time had very practical outcomes. Calendars, derived from observations of celestial bodies, were developed to track the long-term passage of time. A means to account for time in the short term was also an early need. The first clock was undoubtedly the Sun. As early as 3500 bc, Sumarians introduced manmade temporal divisions of time: the day and the year. Still using the Sun, Egyptians were measuring time with shadow clocks in 2000 bc. By 1600 bc, Egyptians had developed water clocks. Robert the Englishman wrote in 1271 about an attempt to construct a weight-driven clock: "Clockmakers are trying to make a wheel, which will make one complete revolution for every one of the equinoctial circle, but they cannot quite complete their work. But, if they could, it would be a really accurate clock and worth more than an astrolabe or other astronomical instrument for reckoning hours. "1 When Galileo discovered that the period of a pendulum is independent of its amplitude, the pendulum became the basis for clocks and the seventeenth century witnessed great advances in timekeeping. As the accuracy of pendulum clocks improved, small effects from temperature and pressure became apparent and efforts to account for these small effects began the quest for enhanced accuracy. The age of global exploration as well as global trade provided a very cogent motivation for designing and building clocks that were both rugged and accurate. The great explorers Vasco da Gama, Vasco Nunez de Balboa, Ferdinand Magellan, and Sir Francis Drake sailed blind, so to speak, as they had no way of knowing where they were located on an east-west line. In 1714, the English government offered a prize of £20,000 for a clock that would keep time with an error of not more than two minutes in forty-two days. The goal was to know one's location at sea, which required a knowledge of both latitude and longitude. Latitude could be determined from the Sun and stars, but longitude required an accurate knowledge of two times: the time at home port, for example, and the local time at sea. The compulsion to build accurate timekeeping devices, then and now, has been driven by very practical needs. Time is one of the most basic concepts of physics. Motion is a play on the stage of space and time. To understand motion and to know where a moving object was in the past as well as where it will be in the future requires data that bring together specific spatial positions at particular times. For Isaac Newton, time had an absolute character: time had a real, universal existence unto itself and flowed inexorably forward from past to future, independent of events and influences that occurred in time. Newton's concept of time was consistent with human experience. However, this view changed dramatically with Einstein's theories of special and general relativity. The special theory of relativity effectively denied time its absolute nature because the theory showed a linkage between time and space. For example, clocks set up at quarter-mile intervals along a highway will, when synchronized, all read the same time to a physicist standing on the highway; however, to a physicist moving very rapidly along the highway, each clock reads a different time. Or, a clock observed to keep time accurately by someone sitting beside it is seen to run slowly by some one moving relative to the clock. Effects such as these have been confirmed in numerous physical experiments. Einstein's general theory also brings new wrinkles to the idea of time. The generalized form of relativity predicted that clocks also are influenced by gravitation: the stronger the gravitational potential, the slower a clock will run. This prediction was confirmed in a beautiful experiment by Robert V. Pound and Glen Rebka in 1960, when they demonstrated the lengthening of the wavelength of a gamma ray traveling between the basement and the top of the physics building at Harvard University. This lengthening wavelength is equivalent to a slowing clock. Einstein's theories of relativity were created during the early years of the twentieth century. The desire to confirm the many predictions of relativity has been one motivation in the search for ever more accurate clocks. The hydrogen maser clock is a part of that tradition. The first clock based on atomic properties was driven by a crystal of quartz. Strictly speaking, a quartz clock is not dependent on the properties of the individual atoms of silicon or oxygen that make up the quartz; rather, this clock relies on the mechanical properties of a single crystal of quartz. In the late 1920s, scientists at Bell Laboratories designed a clock based on the quartz-crystal oscillator. Just as Galileo's pendulum oscillates back and forth with a fixed frequency and, in so doing, chronicles the passage of time in definite increments equal to the period of the pendulum swing, so the regular vibrations of a quartz crystal, occurring at a fixed frequency, can be applied to the keeping of time. In the 1940s quartz clocks replaced pendulum clocks as the standard of time. Quartz clocks are accurate to about 0.0001 seconds per day. Such accuracy is more than adequate for everyday affairs. Suppose, however, the challenge is to measure the difference in clock rate between sea level and the top of Mount Everest? The answer is that a clock on the top of Everest loses about 0.000030 second over the course of a year relative to a sea-level clock. Quartz clocks could never capture this elusive time difference. Questions arising in physics required better timekeepers to learn their answers. In 1945, I. I. Rabi was the Richtmeyer Lecturer at the annual meeting of the American Association of Physics Teachers that took place in New York City. In his lecture, Rabi announced the possibility of atomic clocks. This was picked up by the New York Times science reporter William L. Laurence. "'Cosmic Pendulum' for Clock Planned," read the headline of the article that appeared in the Sunday, January 21, 1945 edition of the paper. There followed three other headlines: "Radio Frequencies in the Hearts of Atoms Would Be Used in Most Accurate Clock" was the first. World War II was not yet over and the first paragraph of Rabi's prepared talk reveals the state of mind of physicists in early 1945: "I am very sorry that I will have very little that is new to contribute which has not already appeared in Physical Review or the American Journal of Physics. The war has taken care of that, but it may not be remiss to review a subject if only as a sop to our nostalgia for our peacetime physics. "2 From this beginning, Rabi went on to describe the magnetic resonance method that he and his students had developed prior to the outbreak of the war. He recognized the potential, inherent in this work, for a state-of-the-art timekeeper and he and his students talked about such a possibility before the beginning of World War II. Norman Ramsey remembers discussing an experiment with one molecular beam apparatus on a mountaintop and another in a mine to measure the gravitational effect on time. Ramsey, a graduate student at the time, said he recognized that he would get assigned to the gloomy mine while Rabi and others more senior would get the mountaintop view. Rabi's 1945 talk in which he proposed a new basis for an accurate clock—an atomic clock—was a continuation of discussions started over five years earlier. Atomic clocks have their roots in Rabi's magnetic resonance method. The reasons for this begin with the characteristics of an ideal clock. A clock must have an inherent period, for example, the time for a pendulum to swing through one cycle. An ideal clock is one whose intrinsic period is reproducible anywhere, anytime. A pendulum clock is not ideal because the period of the pendulum bob is affected by the clock's motion as well as by its altitude. When an atom makes a transition from a high-energy quantum state to a lower energy state, electromagnetic radiation with a definite frequency and a definite period is emitted. When properly detected, this frequency, or period, becomes the ticking of an atomic clock, just as the crystal vibration frequency and the swinging frequency are the inaudible ticks of a quartz clock and a pendulum clock. The frequency emanating from the atom, however, is much less influenced by environmental factors such as temperature, pressure, humidity, and acceleration than are the frequencies from quartz crystals or pendula. Thus, atomic clocks hold inherently the potential for reproducibility, stability, and accuracy. To utilize the radiation emitted by an atom for timekeeping purposes, its frequency oscillations must be counted, which is equivalent to counting the "ticks" of the atomic clock. In the magnetic resonance method, quantum transitions occur with frequencies in the microwave region, which could be counted with the technology available in the late 1940s. By contrast, the frequencies associated with the Balmer series of the hydrogen spectrum are in the optical region and have much higher frequencies. The technology to count the high-frequency oscillations associated with optical transitions was crude to nonexistent. Thus the magnetic resonance method was an ideal basis for atomic clocks. In 1950, Norman Ramsey, a member of the team that developed the magnetic resonance method, made a basic modification to Rabi's molecular beam apparatus that significantly enhanced the accuracy of the molecular beam magnetic resonance method, but also portended enhanced accuracy for atomic clocks. Ramsey's modification was simple, but profound. In the original Rabi apparatus each beam particle passed through one oscillatory field. The accuracy of the measured results depended on how long particles remained in the oscillatory field. When Ramsey was setting up his laboratory at Harvard after World War II, he tried to lengthen the oscillatory region so that moving beam particles would spend more time in the field and thus increase the accuracy of his experimental results. This approach introduced insurmountable problems. In response, Ramsey had a brilliant idea: have each beam particle pass through two oscillatory fields separated along the beam path. This approach effectively kept beam particles "in the oscillatory field" for a longer time and worked beautifully. The Ramsey separated oscillatory field method has been used in many applications, including atomic clocks. The first atomic clock based on the magnetic resonance method was built by Jerrold Zacharias, a longtime associate of Rabi's and a member of the MIT faculty after World War II. In 1952, Zacharias was teaching a seminar he had created for bright MIT seniors. During one class, they were discussing relativity theory and how some of the predictions of the theory could be tested with an accurate clock. 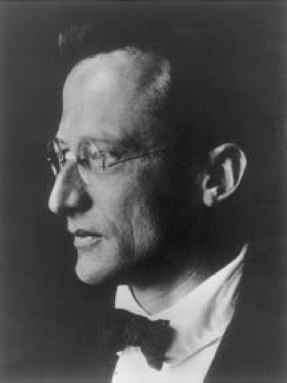 Zacharias had been part of the prewar discussions in Rabi's laboratory about atomic clocks and was fascinated by molecular beams. The students had a clever idea for keeping beam particles in the oscillatory field for a longer time: design a vertical beam system and shoot particles up against gravity. After some time, the particles would fall back into detectors. Zacharias became fascinated with the idea of an atomic fountain and developed plans for two clocks using cesium as the beam atom: a small clock and a large fountain clock. In Zacharias's time the fountain clock never materialized, but the small cesium clock not only worked, it became a standard. Zacharias gave his first report on his cesium clock in 1955.3 In this clock, a beam of cesium atoms moves through a vacuum and the atoms are deflected by magnetic fields along their path. The magnitude of the deflection depends on the energy state of the atoms so that atoms in different states are separated into different paths. Zacharias arranged his apparatus to block out all atoms in unwanted states. Only those atoms in one particular energy state were allowed to move into a microwave field set at the particular frequency that induced a transition of atoms in the desired state. Then only these atoms reach the detector. When the applied microwave field had a frequency exactly equal to the transition frequency, a maximum number of atoms reach the detector. How does this constitute a clock? A special electronic circuit monitors the number of atoms reaching the detector, and constantly adjusts the frequency of the applied microwave field so as to equal the cesium transition frequency and maintain a maximum number of atoms at the detector. With a maximum number of beam atoms incident on the detector it is known that the applied frequency is exactly equal to the transition frequency. This frequency becomes the "tick" of the clock. About forty years after Zacharias's attempts, the atomic cesium fountain clock became a reality. Contemporary cesium clocks keep time with great accuracy. The best cesium clocks are fountain clocks and are accurate to about one second in 20 million years. These clocks keep better time than either the daily rotation of the Earth or the annual revolution of the Earth around the Sun. For this reason, a new definition of the basic unit of time, the second, was adopted in 1967. The second, once defined as 1/ 86,400 of a day, is now defined as 9,192,631,770 periods of the resonance frequency of the Cs133 atom. Cesium clocks are commercially available and widely used. 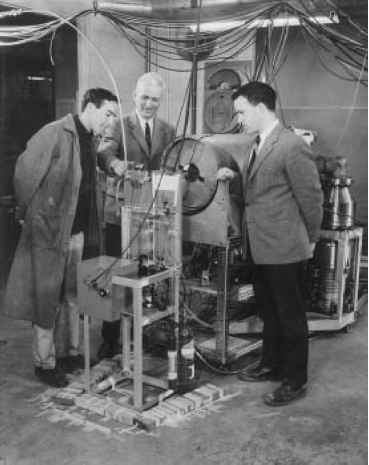 Figure 18.1 Norman Ramsey (center), Daniel Kleppner (right), and another Ramsey graduate student, Stuart B. Crampton, standing beside a version of the hydrogen maser clock. The microwave field of frequency 1,420 megacycles per second (Mc/s) is sustained in the storage bulb by the constant entry of hydrogen atoms into the bulb from the incident beam. A tiny pickup probe is inserted into the storage bulb and an electrical current is induced in this probe at the same microwave frequency. This signal is fed into a series of electronic circuits that convert the frequency into timing pulses, or the "ticks" of the hydrogen maser clock. The hydrogen maser clock is stable to about one second in 300 million years. For many years it has been the most stable clock available. However, there is a drawback to the hydrogen maser clock: its accuracy can only be maintained over a period of a few days. After a few days the stability of the clock deteriorates due to the collisions of the hydrogen atoms with the walls of the storage cavity that alter the resonance characteristic of the cavity and the clock's accuracy is compromised. 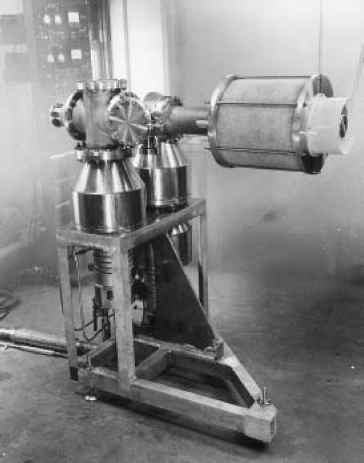 Figure 18.2 The early hydrogen maser, forerunner of the hydrogen maser clock. rated radio telescopes, synchronized by hydrogen maser clocks, are used. A star or space probe is detected from the two telescopes. By recording the precise times that similar radiations arrive from the star or space probe at the two separated telescopes, its exact location can be determined. A hydrogen maser has also been used by Ramsey's collaborator Robert Vessot in a high-altitude experiment to confirm that time speeds up as the gravitational force weakens, predicted by the general theory of relativity, to an accuracy of 0.007 percent.6 Experiments are being designed whose objective is to detect the much-sought gravity waves, another prediction of general relativity. Closer to home, hydrogen maser clocks have been used to track the motion of the Earth's tectonic plates. From tracking stations separated by 209 miles along the San Andreas fault, it was learned that over an eleven-week period, the distance between the two stations increased by eight inches. An earthquake occurred shortly after this determination. There is a likely correlation between this plate motion and the earthquake. The east-west dimension of the United States is more stable. Tracking stations in Massachusetts and California remained a relatively constant 154,680,381 ± 1 inches apart over a five-year period. The hydrogen atom has enabled physicists to measure time with unprecedented accuracy, but it has not brought us any closer to an understanding of what time really is. Perhaps physics will never unlock this mystery. Einstein recognized that for humans the present means something very different than the past and the future. This meaning, Einstein concluded, cannot be found in physics. To humans, there is a direction to time: from past to future. A movie showing a chick crawling in among the parts of an eggshell, the shell parts assembling themselves around the chick, and finally the completed egg closing itself and encapsulating the chick would obviously be a movie run backward, thereby running contrary to our sensibilities. At the level of the basic particles of nature, time can run either forward or backward. To say it better, a physicist could not now look at a film of interacting particles and determine whether the movie is running forward or backward. This may be changing, however. As the twentieth century came to a close, a new puzzle pre sented itself in the form of experimental results. At the CERN and Fermi laboratories an experiment with kaons and antikaons revealed new insights into the mysterious concept of time. In this experiment kaons and antikaons were created and the oscillation rates of kaons into antikaons and vice-versa were measured. If there was no distinction between time running forward or backward, the two rates would be equal. This was not found. The experimental results showed that antikaons turn into kaons more rapidly than the converse. This result may lead to an understanding of why the universe is dominated by matter rather than antimatter. If physicists ever think they understand how time really works, it is safe to assume that to subject their suppositions to experiment they will be required to measure time to a high degree of accuracy. If this comes about, the hydrogen atom with its 1,420 Mc/s transition may well be called on to demystify the enigma called time.